The Greater Fair Bluff Chamber of Commerce are planning a BBQ Cooking Competition, to be held in Fair Bluff, April 27-28, 2018. This will be our 7th annual, featuring some of the finest BBQ Cooks in North and South Carolina. 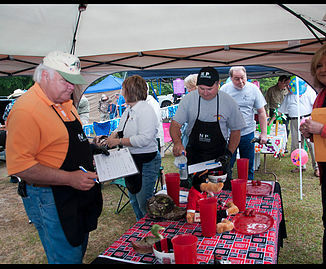 We hope you can join us at BBQ on the Bluff, and see skills in the fine art of outdoor cooking. Trophies will also be awarded during the Showmanship Judging, which will be held Friday Night, April 27. We hopethat you will join us for some great fun, and wonderful BBQ. If you have any questions, call Kathy at 910-840-4091 orGene at 910-649-7202 or 910-649-7871, or email, visitfairbluff@rsnet.org. Looking forward to seeing you, April 27-28, 2018. April 19, 2018. Each team must check in on Friday April 27, 2018. For contest entries please read rule and regulations below and complete entry form. Entry cost must be made to Fair Bluff Chamber of Commerce . 1. N.C. BBQ is defined by the N.C. Pork Council as chopped/sliced pork meat seasoned as the cook sees fit. Pork may be prepared on a wood, charcoal, or gas fire, basted or not as the cook feels necessary. 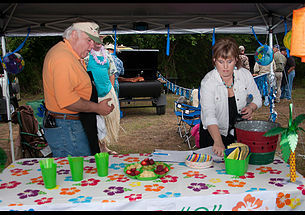 On site judges are trained on the basis of whole hog contest. 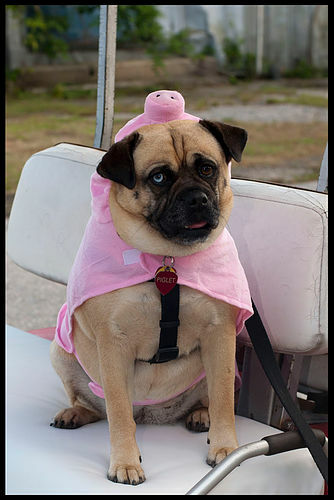 Contests sanctioned by NCPC must be whole hog contests. 2. 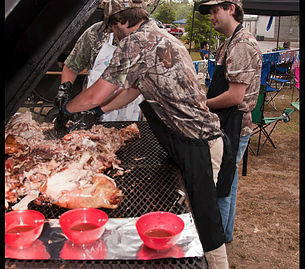 The Fair Bluff Chamber of Commerce will furnish a 100lb hog to the cookers. 3. Each team shall supply its own cooking ingredients, grills, utenils, tents, chairs, fuel, wood, gas, charcoal, or whatever the cook desires. 4. FBCOC will provide aa cooking area, sanitaary facilities, electricity, and water. Each team may wish to bring a long extension cord, and water hose. 5. Each team must have a Chief Cook, who is at least 15 years old, with a minimum of 1 assistant, but no more than 3 assistants..
A. Meats must be kept at 40 degress F, prior to cooking. B. After cooking meat must be maintained above 140 degrees F, and covered. C. Aprons and hats must be worn by all cooks and assistantss at all times in the cooking area. D. Cleanliness of cooking area, and personnel, is required. E. No pets or small animals allowed in the cooking area. 7. The Chief Cook will be held responsible for his team and guests. 8. Each team must check in upon arrival at contest site Friday April 28, 2017, on Riverside Drive in Downtown Fair Bluff. There will be a mandatory meeting of Cookers at 8pm in the Visitors Center. 9. 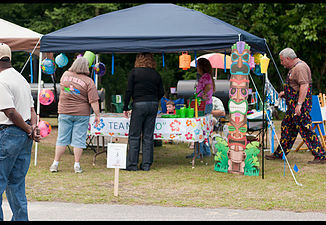 Contestants are urged to decorate their area with flags, banners, or whatever to show off their team, or their talent for the fine are of outdoor cooking. There will be showmanship judging on Friday night. 10. Contestants may not sell or give away food, beverages, or T-shirts to the general public. the FBCOC will be doing that. Under no circumstances are alcoholic beverages to be distributed to the general public by contestants. 11. Each team is responsible for cleaning up their area at the end of the contest. 12. If there are any conflicts the FBCOC must be notified and all decisions of their committee, will be final. Violations of any rule, or regulation may result in a team being disqualified. 13. Breakfast will be served free of charge on Sat. morning, to cookers, and judges. 14. Coffee, soft drinks, water, anid snacks will be available Friday night at the Visitor Center, where restrooms are located. 15. The FBCOC, BBQ on the Bluff, or any of it's representatives shall not be held responsible or liable for the property of any team, any losses, damage or injury, occuring to any team or team representative. All property of the teams shall be under the care, custody, and control of the team, whether in transit to or from, or during BBQ on the Bluff.